Each year the South West Inner City Network (SWICN) hosts its annual Youth Achievement and Community Awards in St Catherine’s Church on Thomas Street. 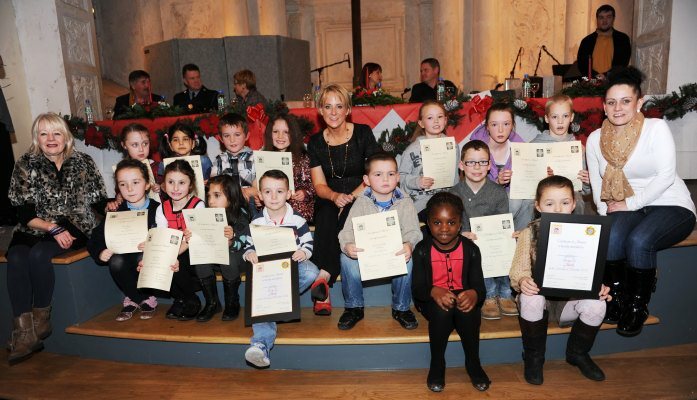 The award ceremony was conceived with Kevin Street Garda Siochana and is funded by the Iris O’Brien Foundation. The Youth Achievement Awards are for young people between the ages of 10 and 21 years of age. The Volunteer / Community Achievement Awards are for adults aged 18 and over. SWICN & An Garda Siochana recognise that a lot of people have achieved success in various disciplines (i.e. Sport, Music, Drama, Art and Community work) and a lot of adults give their time freely to help out their communities. To recognise these achievements Youth Achievement and Volunteer / Community Awards are awarded to a number of successful nominees’s. and not over 18 years of age at the date of the awards ceremony. age at the date of the awards ceremony. Awards for persons under 12 will be considered for personal achievement. Permanent residence of the young person or adult must be in the South West inner city catchment area. groups working specifically in the South West inner city catchment area. Any member of the public including Gardai may nominate anyone whom they feel deserves an award. Nominations may come from family members or relatives. Only one award per person or group is permitted. Any person who received an award in previous years is not eligible for nomination for 3 years.